Fires within a building cost insurance companies a fortune every year. With more and more buildings being built, this number is only ever going to increase. ISW Training want to make sure that people are more than adequately trained to be able to handle any type of situation caused by fires. It’s extremely important to be able to react in a calm, collective and able manner when dealing with fires, especially when there’s more than one person in a workplace. This course is tailored to the needs of the prospective fire marshal. 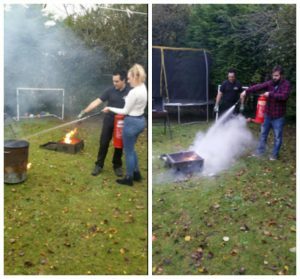 Our fire safety training courses in Somerset and the South West of England can be tailored to suit any specific audience and typically run for five to six hours. This fire safety training course will teach everything from basic fire safety awareness and how to apply this in the workplace to basic fire chemistry and the different classes. This course complies with the Regulatory Reform (Fire Safety) Order 2005 and is also grant approved by the CITB.